wanderlust ATLANTA: 10 Reasons to See "Scarecrows in the Garden"
Scarecrows in the Garden has become a delightful tradition for Atlantans and visitors from all over. Why? Let me tell you. This is my fifth Scarecrows in the Garden exhibition at the Atlanta Botanical Garden, and I hope there will be many, many more. Instead of recapping my latest visit, I thought I'd share with you some of the many, many other reasons YOU should see Scarecrows in the Garden. The above beauty is "Mrs. Payne", a creation by a local school group. I'm only showing her head because it's what was the most fascinating to me about this particular scarecrow. You definitely have to see the whole thing...these kids did an amazing job! She's located adjacent to the Ogre, one of the 28 sculptures in this year's "Imaginary Worlds" exhibition—one of the best reasons to go see Scarecrows in the Garden. Why? Because Imaginary Worlds is leaving at the end of October. You don't want to miss it! It's been a remarkable two years in the running and an exhibition that will be remembered as well was Chihuly and Moore. Thank you, Mary Pat, for being such an incredible visionary...for contributing so much to Atlanta! Fest-of-Ale is every Thursday night in October, 5:00 p.m. to 10:00 p.m. and visitors are greeted by the huge scarecrow pictured above. He's also an award-winner! If you've been to "Cocktails in the Garden" then you'll know the basic format of Fest-of-Ale. Enjoying the Garden until 10:00 p.m., entertainment, and seasonal beverages—there are a lot of pumpkin flavored/themed ales to enjoy this season. And the Cafe is open until 9:00 p.m.
"A Flying Feat", by the Center for Puppetry Arts—another beloved Atlanta attraction and one I highly recommend visiting—was one of the winners of Scarecrows in the Garden. And, you may recall that I did a "10 Reasons to Visit the Center for Puppetry Arts" not too long ago...awesome attraction! During Fest-of-Ale, visitors are delighted by live music. When I visited last Thursday, the Decatur Bluegrass Association was playing and I have to say, they were fantastic—easily one of the best Bluegrass bands I've ever had the pleasure of hearing. I went over and chatted with a couple of the band members during a short break and these guys are as nice as they are talented. I invite you to "Like" Decatur Bluegrass Association on Facebook to learn where else you might catch one of their performances! 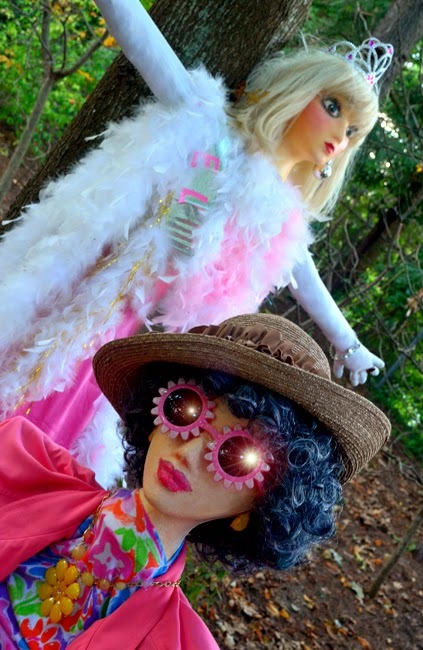 If you've never had the opportunity to make a selfie with Alexis and/or Krystle (Dynasty), not to worry...Scarecrows in the Garden is coming to the rescue! 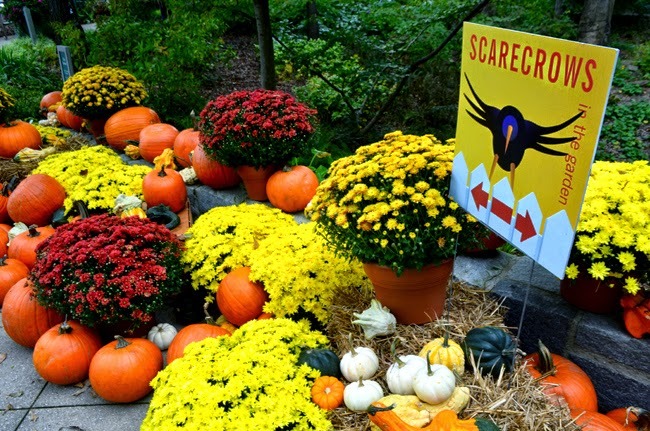 Actually, Scarecrows in the Garden is wonderful for photo-ops, but please be mindful of the plantings where the scarecrows are—some of them may even be where future Atlanta Blooms specimens are planted. So don't assume you're not harming a plant...even if you can't see it. Don't be an Alexis! Photos are encouraged...take all you want! 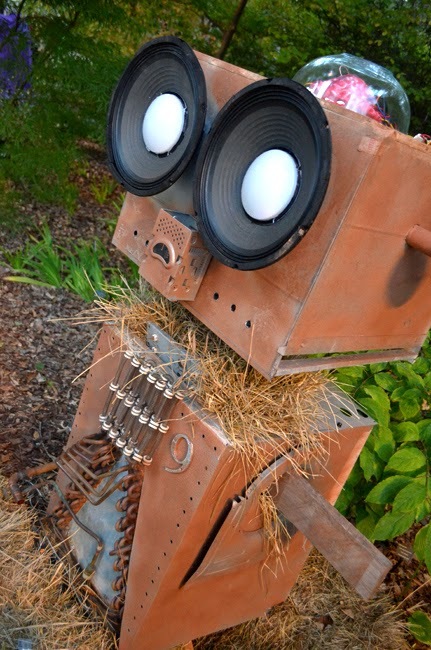 When you're sharing them on Social Media, feel free to tag them #AtlBotanical, #FestOfAle, and #scarecrows. If you go on a Thursday evening, during Fest-of-Ale, be sure to visit the scarecrows in the two-acre Children's Garden first...the Children's Garden closes at dusk. The Children's Garden is one of the brilliant opportunities for Atlantans and visiting families to enjoy the Garden in a unique fashion. There's weekly storytelling time, they have their own vegetable garden, there's a tree house (pictured above), there are giant frogs, there's a beehive, showering sunflowers....there's a LOT going on in the Children's Garden and Scarecrows in the Garden is a wonderful opportunity for grownups to learn what a great learning resource this is for kids. 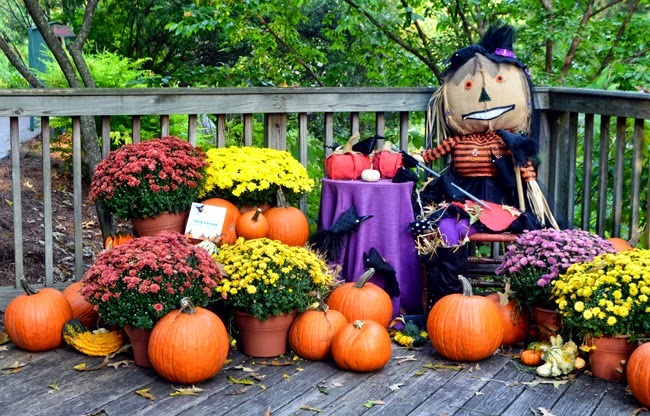 And don't miss "Goblins in the Garden"...a festive event where your kids can show off their season's costumes on "Goblin Runway", and there are fall-themed crafts, a pony ride and a Ride-on-Train! Like I was saying...there is LOTS to do in the Garden. 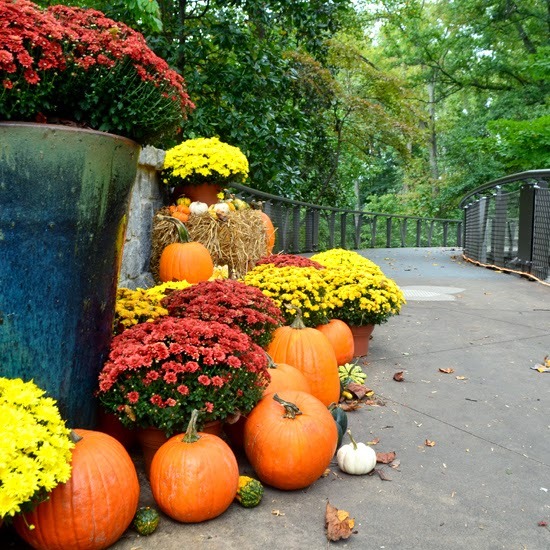 I commend the Atlanta Botanical Garden for being so wonderfully generous in promoting other Atlanta attractions and Atlanta events...they really go above and beyond in that regard. 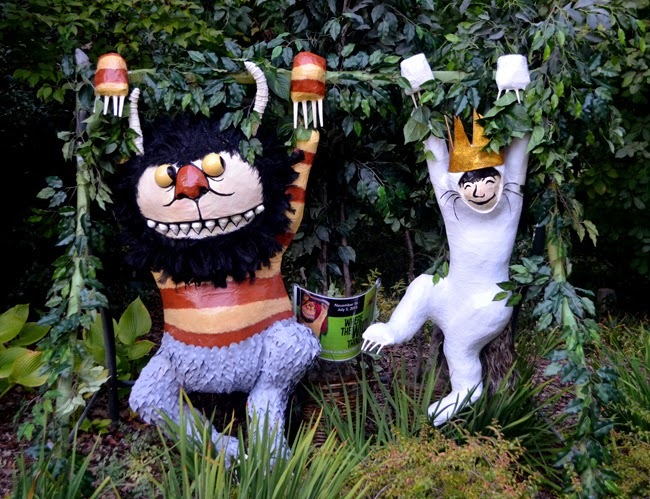 For example, the "scarecrows" pictured above are an enticement to see the upcoming "Where the Wild Things Are" exhibition at The Breman Museum. I've enjoyed exhibits, events and programming at The Breman for years...they're a must-see on any list you'll see me put together. Where the Wild Things Are: Maurice Sendak in His Own Words and Pictures opens November 16, 2014. If you're wondering where the 100-plus scarecrows come from, they're from all over Atlanta! 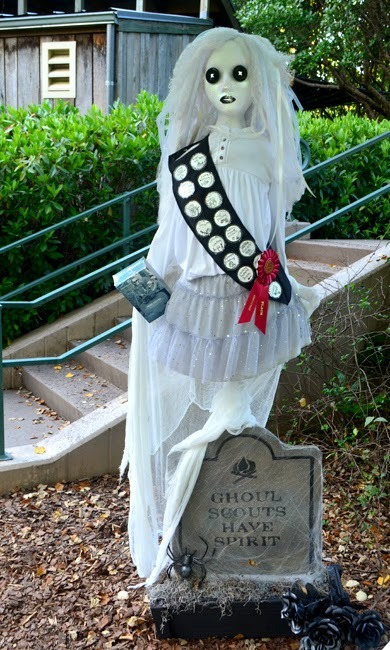 They're from Girl Scout troops—the scarecrow pictured above is from a local Scout troop, and another winner!—Atlanta businesses, Atlanta families, citizens, organizations, clubs, and attractions...they're from the Atlanta community! You've heard me say it again and again...the attractions and museums that foster a sense of community are the ones that I love most, and they happen to be some of the most successful in the City. Scarecrows in the Garden is spread throughout the Southern Seasons Garden and the Children's Garden, but there's acres and acres more to see and experience at the Atlanta Botanical Garden. From time to time I hear folks comment, "But it's expensive." However, given what the Garden has to offer and what it's doing for not only Atlanta, but for the world—through its amphibian and orchid conservation and research—admission is nominal...and, as a non-profit, you're supporting school programs, all the amazing classes the Garden offers, and you're promoting Atlanta! Thank you to all who do. I invite you to explore the Garden's website, to learn more about all the amazing initiatives and programs and events they offer...you may be quite surprised! I'm proud to support the Atlanta Botanical Garden through my Dual Membership, attending events regularly, shopping in the (amazing) Gift Shop, and telling all my friends and fans how amazing it is! And no, the Garden has never given me anything or a single cent to promote them...it's just one of my favorite places in all of Atlanta. It's an awesome destination! Hey, I'm a sci-fi geek...how can I (and most other guys) not love robots? 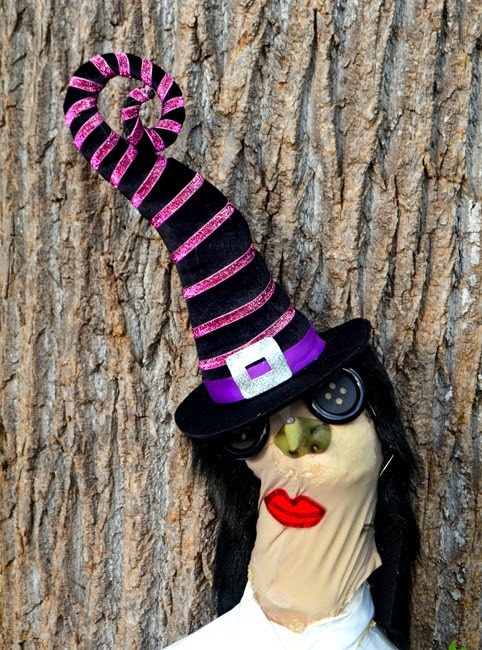 Actually, you're going to love the diversity of Scarecrows in the Garden. This year there's everything from "Pippi Longstraw" to a Merman, "Game of Crows" to a tribute to Robin Williams, and a pair of pandas by Zoo Atlanta to...well, robots! 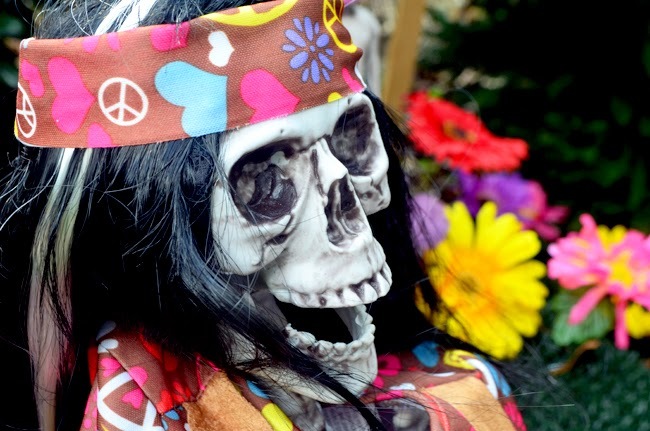 With more than 100 scarecrows, there's definitely something for everyone! 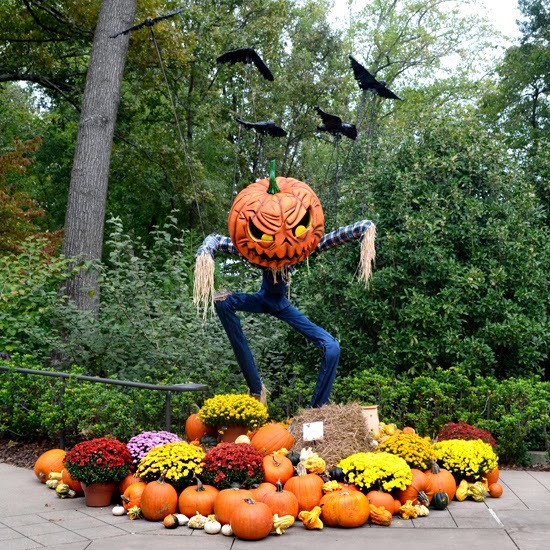 Probably one of the more popular reasons to go to the Atlanta Botanical Garden to see Scarecrows in the Garden: It's tradition! Scarecrows in the Garden has been enjoyed by Garden visitors for more than a decade, and I know that the kids who are seeing it now will thoroughly enjoy sharing the experience with their kids. The scarecrows are wonderfully brilliant now...I can only imagine how incredible they'll be in another 10 years!